I decided to get a press for holster making. I ordered a sheet of inch thick gum rubber and cut it into two 12 inch squares. I tried a homemade press using some 2x12 and threaded rod, but it was too hard to get enough pressure. Harbor Freight had a sale on their 12 ton shop press--bigger than I need, but I heard some complaints about their smaller bench model. The press is fairly typical Harbor Freight quality--The spreader bar at the bottom was misaligned and broke a weld while squaring the press up, but it is still usable. The upper I beam is a bit of a loose fit to the side beams, I'm probably going to add some washers inbetween to tighten it better. It works well enough for my purposes. The basic setup I'm using is a chunk of 2x12, one of the rubber pads, the holster with a blue gun inside, the other rubber pad, then another 2x12. 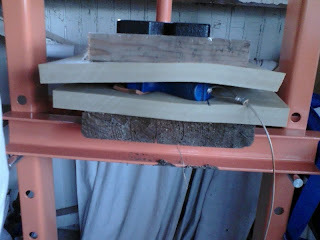 The press came with 2 inch thick metal blocks, I use one of those on top of the wood to spread the force of the press out, otherwise I am pretty sure the wood would split. I'm not sure how hard I have to press to get the level of detail I am looking for--I think I went more than necessary this time. I want enough pressure to get decent detail, but I don't know if I need so much that I can read the lettering engraved on the dummy gun. 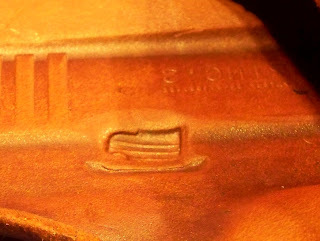 This saves quite a bit of time in molding the holster by hand, and I think the end result looks better. 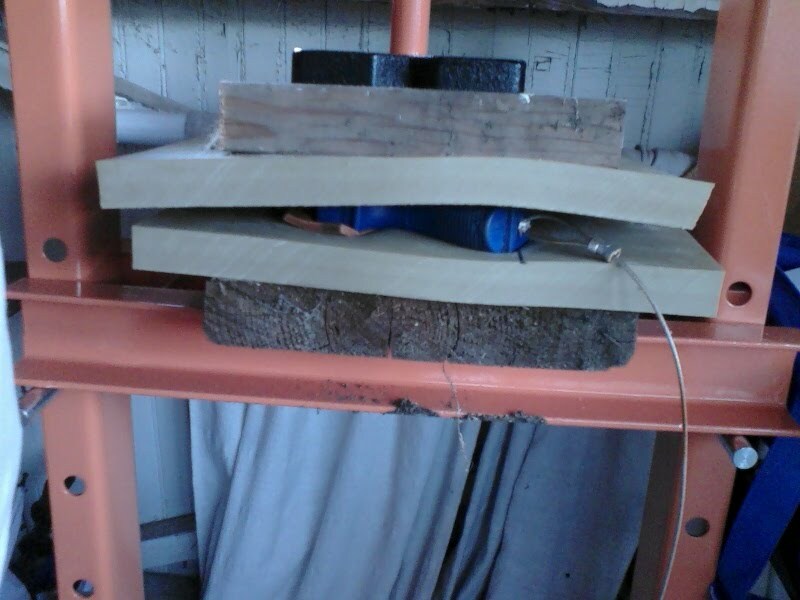 Have you thought about using a vacuum press similar to the ones used in woodworking? I'm not familiar with the vacuum presses used in woodworking--a quick Google shows that they are likely too expensive for my use, although they would probably do an excellent job. Before I bought the shop press, I used a Foodsaver vacuum bag, which helped make manual molding easier, but didn't work as well as the shop press with rubber. Where did you get the rubber pads? If I remember, it was McMaster Carr. Came as a 12x24 strip.